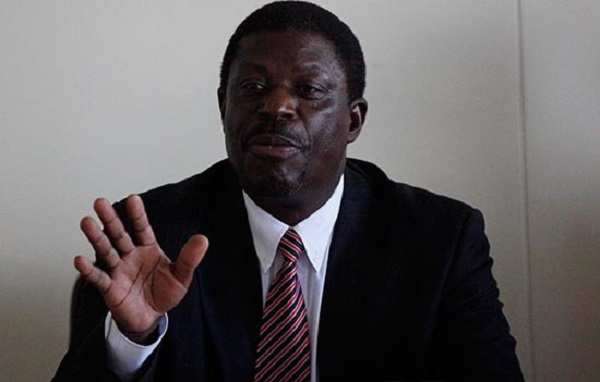 ZIMBABWE – INDUSTRY minister Mike Bimha will, next month, lead a delegation to the United Kingdom comprising cabinet colleagues and business executives to scour for investment needed to help stem Zimbabwe’s faltering economy. The tour, confirmed by organisers CMG International Media Group, will be one of very few by top government officials in recent years after relations between Harare and London hit ice in the last decade and a half due to a row over sanctions. President Robert Mugabe blames sanctions imposed, he claims, at the behest of former colonial power for Zimbabwe’s near-economic collapse. The UK maintains that the sanctions were targeted at the 91-year-old leader and members of his inner circle responsible for rights abuses and electoral fraud. Zimbabwe has largely looked to China and Russia for economic support since relations soured with the West but the European Union has now lifted most of its sanctions and Harare appears to be moving to test the waters of the Thames, as it were. The ministers’ trip comes at a time Zimbabwe – due to a mix of unhelpful policies and a battered global image – is faring rather terribly compared to its SADC neighbours in attracting foreign direct investment (FDI). Zimbabwe’s FDI inflows were a measly $105 million (2009), $166 million (2010) $387 million (2011), $400 million (2012), $410 million (2013) and $545 million (2014). In contrast, Mozambique’s figures over the same period were: $898 million (2009), $1 billion (2010), $3.5 billion (2011), $5.6 billion (2012), $6.1 billion (2013) and $4.9 billion in 2014. Zambia has also fared better than Zimbabwe over the same period: $426 million (2009), $634 million (2010), $1.1 billion (2011), $2.4 billion (2012), $1.8 billion (2013) and $2.5 billion (2014). Travelling with Bimha for the Zimbabwe Trade and Investment Forum London, will be Economic Planning Minister Simon Khaya Moyo as well as Transport and Infrastructure Development Minister Obert Mpofu. Also attending the forum which is set for the 22nd and 23rd of September are Zimbabwe Investment Authority CEO Richard Mbaiwa, president of the Confederation of Zimbabwe Industries and CEO United Refineries Busisa Moyo, and Alban Chirume, CEO of the Zimbabwe Stock Exchange. Organisers said the ministers would highlight investment opportunities in Zimbabwe under the government’s ZimAsset economic blueprint and “the broader Industrialisation agenda”. “The ministers will be looking to articulate the framework for joint ventures and value addition initiatives and engage with investors and their views,” CMG International said in a statement. “They will also de-mystify the indigenisation and economic empowerment programme, highlighting the win-win partnerships that the Zimbabwe Government is promoting. CMG spokesperson, Louis Charema, said participants will be drawn from the UK investment community which will include private equity firms, investment advisers, hedge fund and asset managers, infrastructure development companies, investment banks and private investors. “The Business Council for Africa and its members will also play an integral role,” he said.